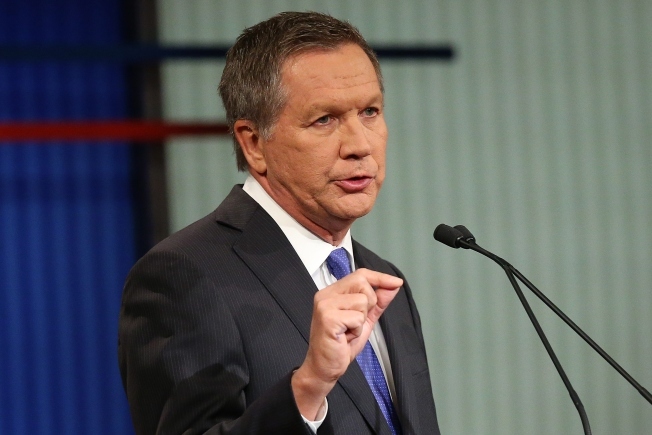 The Boston Globe is urging New Hampshire voters to support Ohio Governor John Kasich in the race to become the GOP presidential candidate for the 2016 elections. The Globe wrote, "By voting for Kasich, New Hampshire can reward a candidate whose politics have been largely positive-- and rebuke those candidates who have spent their campaign appealing to voters' fears and biases." The Globe also noted they "Donald Trump has easily been the worst," and that he is primarily known for a reality TV show, not politics. The Globe closes, stating "The GOP needs to settle on one candidate to take the fight to Trump and Cruz, and Kasich is the best bet."